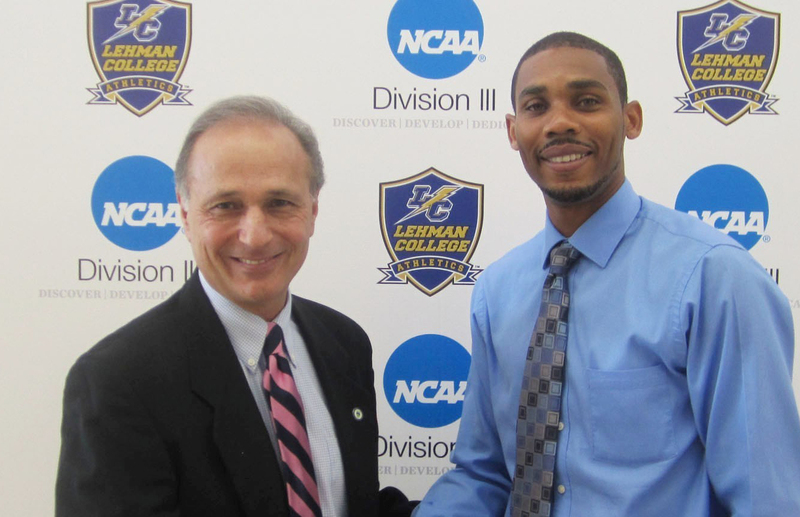 Joel Phillip, a former Olympian who participated in the 2008 Beijing Olympic Games, is Lehman’s newest men’s and women’s track/field and cross country head coach. A three-time National Champion and five-time All-American, he represented Grenada at the Beijing Olympics, where he finished 39th in the qualifying round of the 400-meter dash, with a time of 46.30 seconds. As an undergraduate at Arizona State University, Phillip achieved All-American three times. In 2008, he competed at the NCAA Indoor Track National Championships, where he finished second overall in the 400m dash, completing the race in 46.27 seconds. He was also part of the 4x400m relay team that finished third, with a time of 3:06.34. While competing for Central Arizona at the Junior College level, Phillip was a two-time All American. He won the 2007 NJCAA Outdoor National Championship in the Decathlon event, with 6,799 points. As a team, Central Arizona won the 2006 Outdoor National Championship. That same year, Phillip also earned a national title in the 4×400 meter relay event. From 2011-2012, Phillip served as sprints/jump coach for Columbia University, where he assisted with the creation and implementation of workouts for sprinters, hurdlers, relays, and long jumpers. Residing in Springfield Gardens, N.Y., Phillip earned his Bachelor’s Degree in Interdisciplinary Studies from Arizona State University in 2009 and his Master’s Degree in Sports Management from Lindenwood University in 2014.